“In the days ov owr gurt gramfers, Martinmas day was a high time, an thort a dayl ov. Saynt Martin cude dew miracels, so the time yused to be celebrated by festivetys, sports pon village green an zo aun. The varmers an others yused tu go there, and if the servints wassen gwain tu stay agen, thay wud bargin way the chaps an maydens. In zom parts of the kuntery I’ve yerd they do it now, that thare is a fare an the men go tu be hired, an stand like bullocks all in a row.” – 1866. Above is an early description of Martinmas Day or the Feast Day of St. Martin which occurs on the 11th of November. However, today this day is better known as Armistice Day when the cessation of World War I was declared. But as noted above previously the day was an important event in the agricultural calendar for several reasons. Firstly, in some cases it was a day when men and women who had terminated their employment saught new positions at a hiring fair. It was thought that by this time of the year all the farm work should have been completed and workers could be allowed to leave and find alternative employment. This is related to an old saying which went – “Martinmas will come as it does to every hog,” which alludes to that fact that everyone must die. Secondly, prior to modern agricultural methods it was also a time when farmers ‘took stock’ of their farm. It was about this time of year that the moor farmers would bring down their livestock from the moors and commons. It was a case of assessing the number of livestock that they would be housing over winter and the amount of available winter fodder. Any shortfall of the latter meant that excess stock would be slaughtered and prepared for household use during the long, cold months of winter – hence the phrase – Martinmas Beef. Alternatively some animals would be taken and sold at a Martinmas Market although some farmers thought the prices fetched were lower than that those earlier on in the year. An old Southcombe diary entry for the 11th of November read; “Sam to Dockwell and saw the cattle and drove 11 heifers home and put them in Broadypark and turned the ewes out from the Linhay fields and gathered the sheep on the commons… Mr. R. Stranger bought 2 cows for the sum of £44.” Woods, p.201. For those who had pigs rooting through the woods for acorns this too was a time to fetch them home as the ‘Pannage Months’ had come to an end. Once again these would be slaughtered, butchered and salted with any excess pigs being sold off. In Scotland Martinmas was considered a quarter day and in effect replaces the English quarter day of Michaelmas. Martinmas was also a time of year when some tenancies were both ended or begun. There was always a big debate whether it was best to take on a new farm tenancy on Lady Day or Michaelmas Day with pro’s and cons either way. For a person leaving their tenancy on that day it meant that they had the benefit of harvesting all the crops and garden produce before moving on. On the other hand a person moving into a new tenancy had the advantage of being able to prepare the land for the following year’s crops and deep ploughing for the root crops. It was also thought to be an ideal time to establish a spring calving dairy herd as the calves thrived better. But who was St. Martin and what did his feast day commemorate? During his lifetime St. Martin of Tours had been a Roman soldier, a monk and eventually the Bishop of Tours. He is best known for a vision in which he approached the city gates of Amiens and came across a beggar, in an act of kindness he cut his cloak in two pieces and gave one to the unfortunate man. Later that night he had a dream in which he saw Jesus wearing the half of his cloak which he had given the beggar which was enough for him to seek baptism and begin his Christian life. St. Martin is the patron saint of; beggars, wool weavers and tailors (because of the cloak incident), vintners and inn keepers because his feast day coincided with the grape harvest and one of the patron saints of France. Oddly enough he is also the patron saint of geese which is thought to be because when asked to become a bishop he his in a goose pen when their cacking gave away his hiding place. Or alternatively because his feast day occurs at the time when the geese normally migrate. So as can be gathered, being the patron saint of inn keepers etc his feast day usually involved the partaking of alcohol as can be seen in these lines; “It is the day of Martinmasse, Cuppes of ale should freelie passe; What though Wynter has begunne, To push downe the Summer sunne, To our fire we can betake, And enjoy the crackling brake, Never needinge Wynters face, On the day of Martinmasse”. There is also another tradition with connections to St. Martin and Geese and that is in some places it was traditional to eat goose on his feast day, somewhat akin to eating goose at Michaelmas. 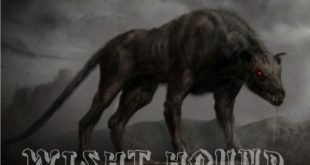 In order to kill the goose it must be slaughtered on the doorstep and then its blood had to be daubed on each of the four corners of the dwelling this would then protect the house form all kinds of evil spirits. During the Middle Ages St. Martin’s Feast Day also marked the beginning of a 40 day fast known as Quadragesima Sancti Martini and in effect was the last chance to have one’s fill before the fasting began. There are several sayings of weather lore for Martinmas; “If Martinmas ice can bear a duck, The winter will be all mire and muck,” and “If it is cold, fair and dry at Martinmas, the cold in winter will not last long.” Looking at the weather forecast for this year (2018) it’s going have a high of 12 degrees, overcast with showers which is much the same as it was in 2017 – the year of the ‘Beast from the East’. It is also suggested that if the leaves on the trees have not fallen before Martinmas then this is also the sign of a cold winter ahead. 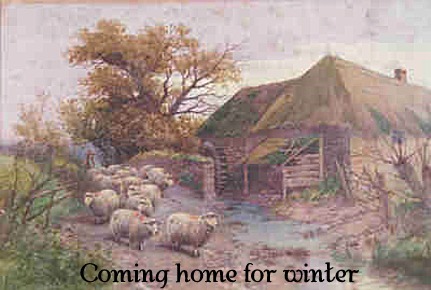 There is also an old term called ‘Martinmas Summer‘ which denotes a warm spell in late autumn although today such an event is better known as an ‘Indian Summer.’ There is a belief that such an event occurs because God sent a spell of good weather in order to keep St. Martin warm as he had donated half his cloak to the beggar. Woods, S. 2003. Dartmoor Farm. Tiverton: Halsgrove Publishing.